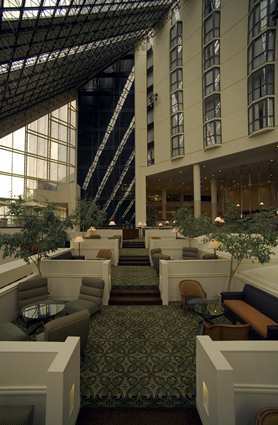 Bid Per Night and Choose your Length of Stay at the Doubletree Hotel Dallas Near the Galleria in Texas! Bid Per Night and Choose Your Length of Stay anytime thru June 30, 2009 at the Doubletree Hotel Dallas Near the Galleria in Dallas, Texas! 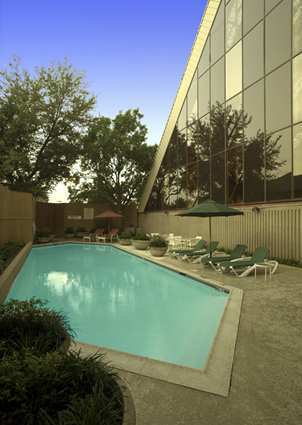 The Doubletree Hotel Dallas near the Galleria in the heart of the exciting North Dallas Corridor is less than a mile from world-class shopping at Galleria Mall. Our central location just off LBJ Freeway (I-635) puts business or leisure travelers close to the Dallas North Tollway, Stemmons Frwy (I-35E), Central Expressway (US-75), and the George Bush Tollway. DFW International Airport and Dallas Love Field Airport are both less than 30 minutes from our contemporary, full service atrium hotel. Over 200 restaurants, theaters, shopping, and entertainment venues are in the immediate area. We're near the North Dallas Design District, and only eight minutes from The Grand Spa and Gallery Dallas (complimentary transportation provided based on availability). Tastefully-appointed guest rooms provide a high level of comfort and convenience, while our courteous, professional staff supplies legendary Doubletree service. Executive accommodations on our Concierge Level include upgraded amenities, our incredibly cozy Sweet Dreams beds, and a private concierge lounge. High-speed internet access is available in all guestrooms and meeting rooms, with wireless HSIA available through our Internet Café, located on the lobby level. The Doubletree near the Galleria boasts 25,000 square feet of flexible meeting and banquet space, including our Grand Ballroom, which can accommodate up to 1,000 people. Our guests have full access to a well-equipped Fitness Center and sparkling outdoor pool. Seasons Restaurant serves up wonderful breakfast and luncheon buffets daily, as well as casual American cuisine for dinner. Or, enjoy a beverage and light fare in The Terrace Bar and Grill. Dallas has so much to offer -- from Texas Stadium, to Southfork Ranch; downtown entertainment districts like the West End and Deep Ellum; family favorites like Hawaiian Falls Adventure Park or Six Flags over Texas. We look forward to welcoming you to Dallas with our special, signature warm chocolate chip cookie at check-in. 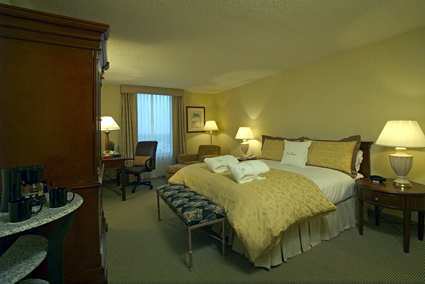 Tax and service charges of $32.00 additional per room per night.